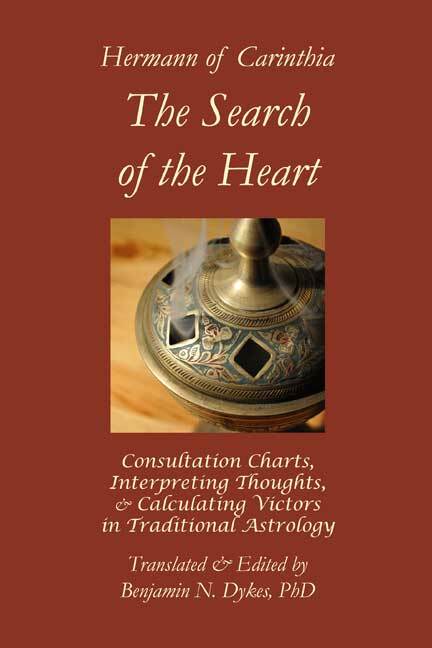 The Search of the Heart is now available for the first time. 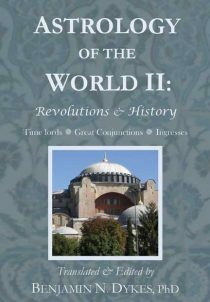 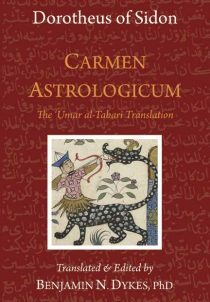 To Hermann’s book, Dr. Benjamin Dykes has added similar instructions and source texts from such notable astrologers as al-Rijal (Haly Abenragel), Sahl bin Bishr, Masha’allah, ‘Umar al-Tabari, al-Kindi, Abraham ibn Ezra, Leopold of Austria, Ptolemy, Hephaistio of Thebes, “Argafalau,” and others. 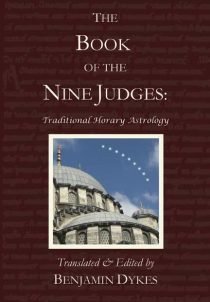 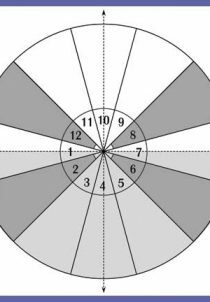 In his lengthy Introduction, Dykes suggests that thought-interpretation and its victors in horary were supposed to identify what a client’s interest is or should be, as a preliminary to crafting a horary question. 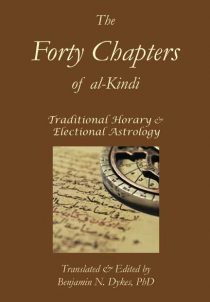 The Search of the Heart is the first volume in the horary series followed by al-Kindi’s The Forty Chapters and The Book of the Nine Judges. 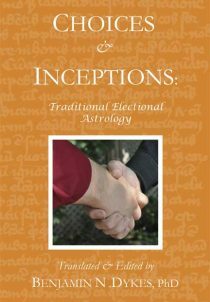 Choices & Inceptions presents numerous works on choosing auspicious times for actions, drawn from the most well-known medieval Persian and Arabic-language authors and compilers: al-Kindi, Sahl bin Bishr, Bethen, al-‘Imrani (Haly Embrany), and al-Rijal (Haly Abenragel). 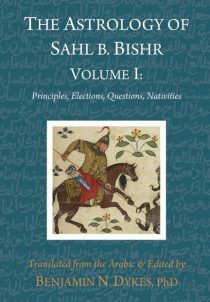 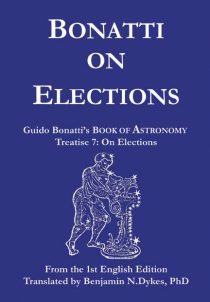 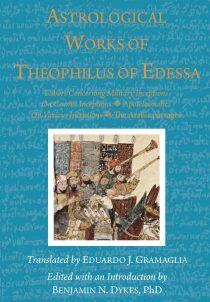 It is the largest collection of traditional electional texts available in modern languages. 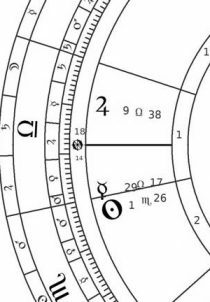 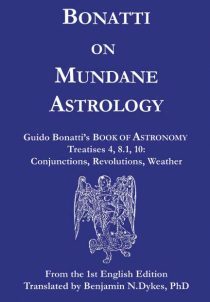 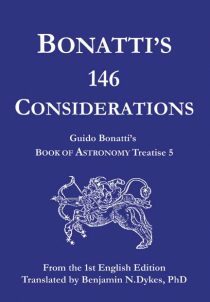 A large work on mundane astrology: discovering the Lord of the Year and the significator of the king, the condition of the people, assigning zodiacal degrees to regions of the world, weather and natural disasters, war, comets, eclipses, fixed stars, the Head and Tail of the Dragon. 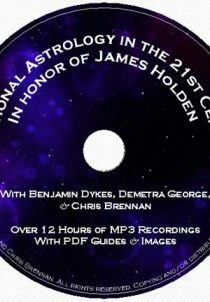 Click here for a PDF excerpt .